Recent years have seen Netflix become one of the prime destinations for animation talent. They seem to be on a particular roll of late, with news such as the Alex Hirsch deal being announced. The latest talent to sign with the streaming site may not be such a familiar name just yet, but we think that is set to change. 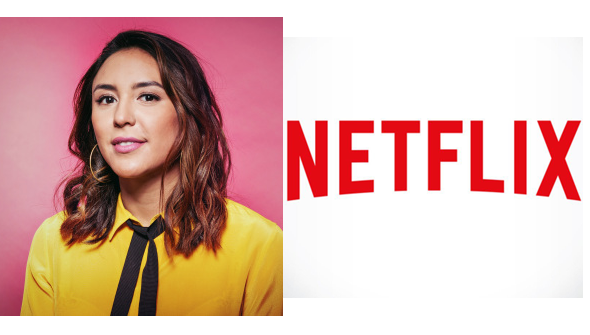 Shion Takeuchi has signed on to develop series and other projects exclusively for Netflix as part of a multi-year deal. You may not be familiar with her name, but Takeuchi has already built up an impressive CV. After graduating from CalArts, she worked as a storyboard artist on Regular Show. Later recruited as a story artist at Pixar, she worked on Inside Out and Monsters University. She later went back to work in TV, writing on Gravity Falls, We Bare Bears and most recently on Disenchantment. We don't know what a Takeuchi created series would be like, but it's great to see Netflix is going after emerging talent as well as more established names. It's important to see more animation being created by women, too. Takeuchi's history shows that she is comfortable producing work for both adult and family audiences- we don't know yet which her Netflix projects will be. You can get a taste of her work by watching her student film When The Time Is Ripe, from 2010. Check it out below! When The Time Is Ripe from Shion Takeuchi on Vimeo.